1 – The scientific name is Limulus Polyphemus and is part of the arthropod classification. The horseshoe crab is not considered a crustacean and actually has more in common with scorpions and spiders (arachnids) than other “crab” species. 2 – The term, “horseshoe” comes from the way the unique shells resemble a horseshoe. Here is a side by side comparison – what do you think? What would you have named this creature if you had stumbled upon it while walking along the shoreline? 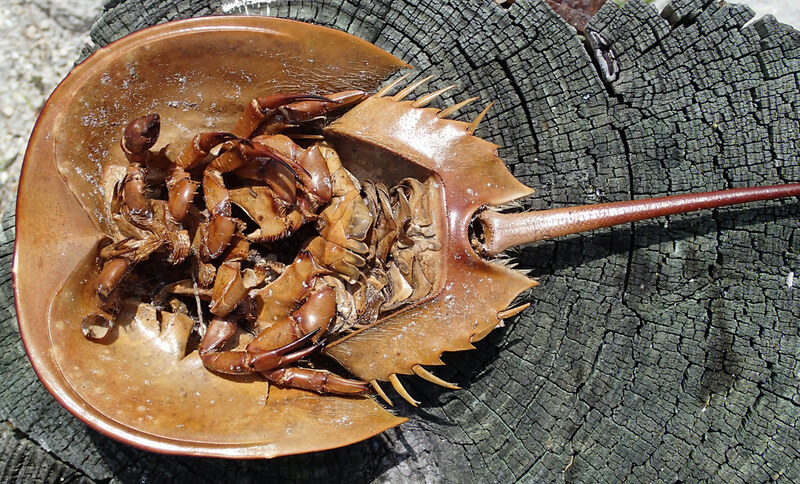 3 – The horseshoe crab is a 200 million year old (at least) species and is considered a living fossil. Each individual can live up to 20 years. 4 – Horseshoe crabs mature and are ready to reproduce around age 10. They lay and bury their eggs in the sand near the shoreline. The fertilization period of the eggs varies with climate and location. 5 – Variations of the Atlantic, or American, Horseshoe Crab can be found all along the East Coast of the United States stretching from Maine down to the Gulf of Mexico. Despite the differences among the shell colors, sizes, etc. all of them retain the Limulus Polyphemus classification. 6 – The exoskeletons of the horseshoe crabs are shed over and over again. As the creature reaches the end of its sexual peak, the shells decrease in size over time. 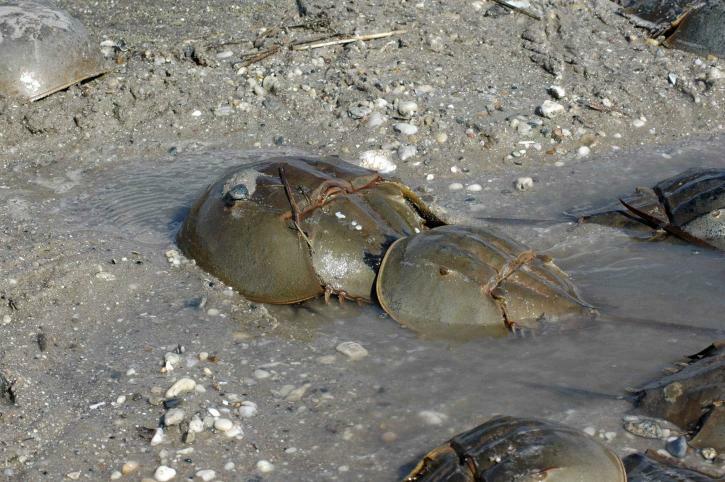 An older horseshoe crab will be smaller and produce less slime than those that are younger. 7 – Natural predators of the horseshoe crab and its eggs include sea turtles and shorebirds. Sea turtles are currently endangered, enhancing the importance of the horseshoe crab as a food source. 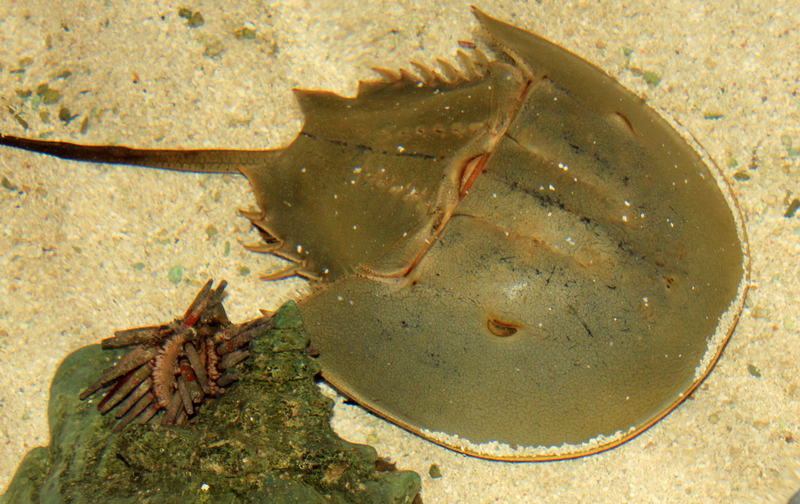 8 – Because of the unique properties of its blue blood, the blood of the horseshoe crab is used in biomedical science, including the FDA, to test medicines and vaccinations. 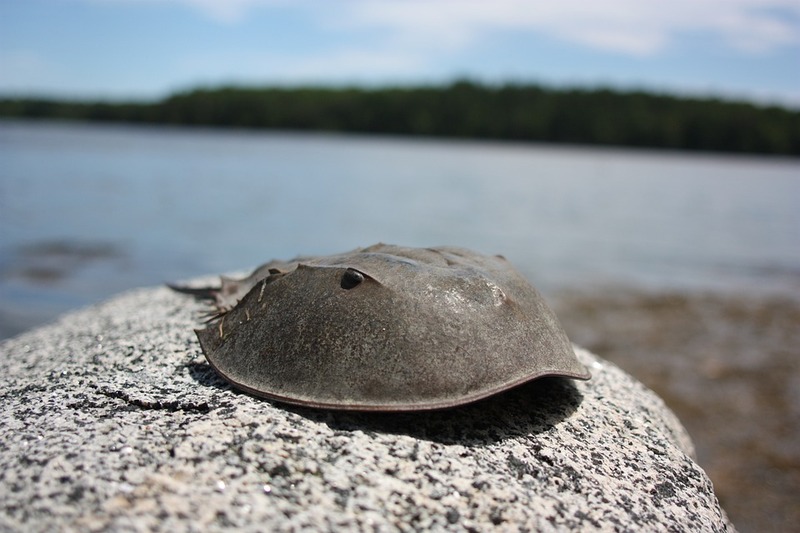 9 – Unfortunately, due to the overharvesting of horseshoe crabs for use as bait and testing in the biomedical field, the population has decreased through the years. This has also lead to a negative impact on the species’ that use this creature as a food source. 10 – Other issues causing a decline in this population are climate change, erosion of the ocean floor, human development along coastal regions, and air pollution. Conservation teams are working to convince companies to cut back on mass harvesting. Synthetic alternatives to the unique properties of horseshoe crab blood are being tested in order to preserve this species, and to prevent any further decline. With time, hopefully we will be able to see the population turnaround and begin growing. 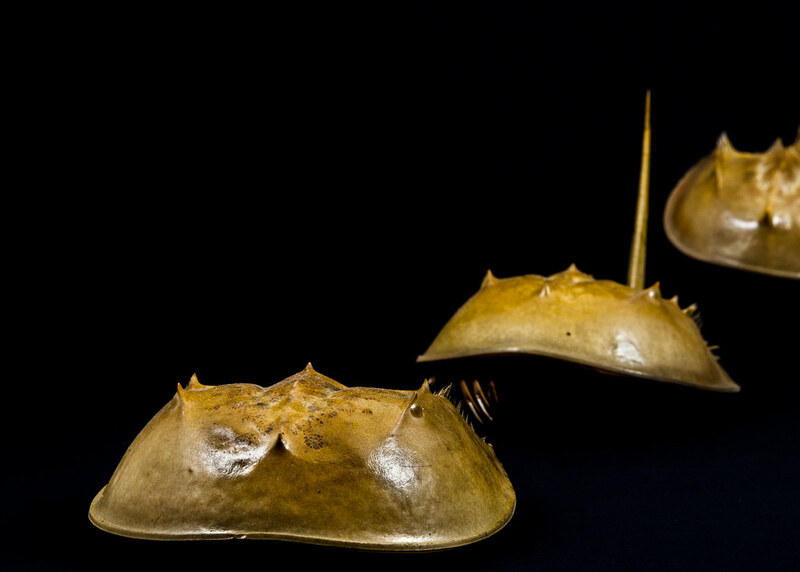 Life advice from the Atlantic Horseshoe crab: If you take the time to get to know someone, you just might discover that deep down, the two of you are more alike than you would originally have thought. This is an admirable creature of the sea sure to turn a head or two when it crosses paths with humans. It has been around a long time and hopefully will continue to grace the ecosystem with its presence for the rest of the Earth’s existence.